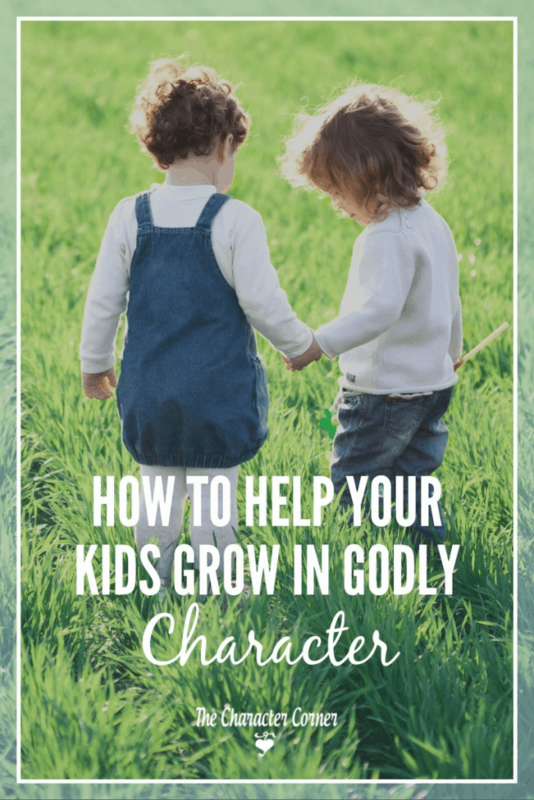 One of your top priorities as a parent should be to help your kids grow in Godly character. Our main purpose for homeschooling our kids has always been to influence them and shape their values, while training them in character. Character training prepares our kids to do better academically, and is the most important fruit we can nurture in their lives. 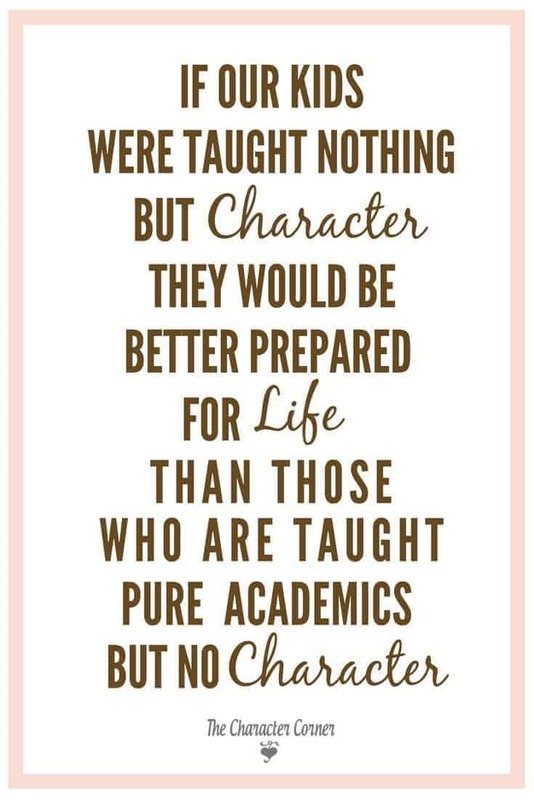 If our kids were taught nothing but character, they would be better prepared for life than those who are taught pure academics, but no character. While academics ARE important, we need to be careful that we don’t let academics distract us from what really matters! 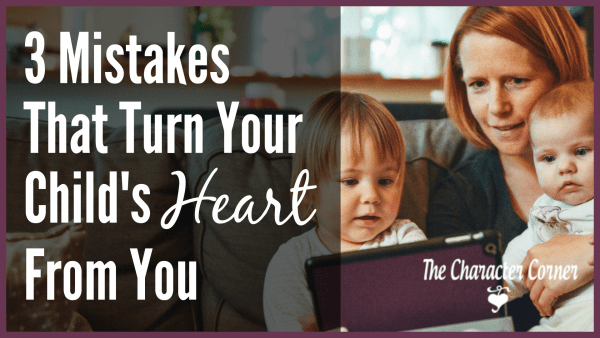 As homeschooling parents our kids are with us every day all day, which gives us the opportunity to notice their character flaws, and spend time helping them to develop and grow in those areas where they struggle. However, we need to be proactive and have a plan in place for character training. Don’t just assume your kids will develop good character because you homeschool them, or because they go to Sunday School every week, etc. Since it is OUR job as parents to teach and train them in Godly character, we need to have a plan for how we are going to do that. Our kids are always watching what we do, and how we respond. We have to set an example for them of Godly character, before we can expect them to develop it. No matter what we say or teach, our kids are going to do what we DO. 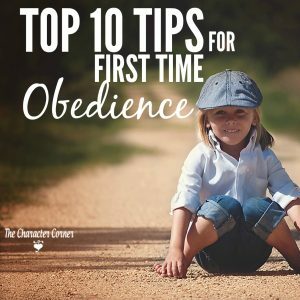 When your children are disobedient or unkind, it’s an opportunity to train them in Godly character. Take them to God’s Word and show them what He says about that behavior, and what pleases Him. 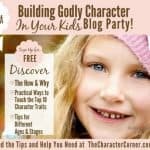 This is a great way not only to help them develop Godly character, but it also gets God’s Word into their heart and mind. 3. Make character training a priority. Even though you believe it is important to focus on character training, if you don’t make it a priority early in the day, it is likely to get pushed aside. By scheduling it at the beginning of the day, you make sure it gets done. 4. 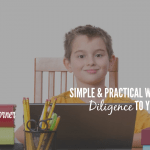 Focus specifically on one trait at a time through daily character lessons. Not sure which character trait to start with? Think about what is frustrating you the most in your kids’ behavior. That usually can be tied to a character flaw, so start with that trait. 1. Teach the meaning or definition of the trait. Self-control is doing what is right even when I don’t feel like it. 2. Teach what the trait looks like. Self-control includes: controlling your anger, not speaking words that are hurtful, getting up on time, doing what you are supposed to right away. It means you will control your tongue and your actions, and do what is right even when you don’t feel like it. Explain that when we lose self-control, we are like a city with broken down walls. In Bible times they put walls around their cities to protect themselves from their enemies. Those walls made the city like a fort. The walls were to keep the danger out. When we lose self-control we are like a city whose walls are broken down. When we have no self-control it is much easier for the devil to tempt us to sin, and we have no protection from that temptation. 3. Teach with hands on activities or games. Get Nerf dart guns or rolled up socks to use for attacking. Divide the kids into teams, and let both teams make a fort to protect themselves. (couch cushions, chairs covered with blankets, big boxes, etc.) Let them have a “battle” from the safety of their fort. Then have the two teams or opponents have another battle, but with no fort or protection. Afterwards talk about how they felt with no protection, and how much harder it was to keep safe from attack with no walls. 4. Role play right and wrong reactions. Your brother is purposefully annoying you by singing in a loud, annoying voice even though you have asked him to stop. A sibling said they would play a game with you, but now they won’t play. You want to play, but Mom gave you chores to do first. Mom won’t buy you the toy you asked for when you were at the store. 5. Give positive feedback and encouragement. When you see one of the kids showing self-control, praise them and let them know how pleased you are. That encourages them (and the other kids) to try to show self-control. Remember, character training is one of the most important things you can do for your kids! Thank you for the example above. Sometimes, I think I need a “classification chart” to properly address issues. i love the examples you use….one might think you’d raised 8 kids or something 😂. Thank you & SChoolhouse Teachers for an awesome giveaway. Hi Karyn! Glad you liked the examples. Hope this whole party will be a help and blessing to you! FYI the first link visit the character corner does not work. Not sure if it’s supposed to be facebook or what. I am already on your fb pages but just thought I would let you know it’s not working. 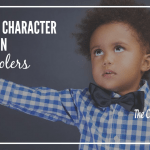 This is a great overview Kathie of how to teach our kids character. 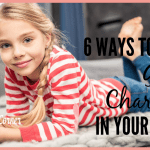 Using specific words of character (be a loyal friend, be diligent and go the extra mile, be attentive while you listen) instead of more generic words like ‘good’ helped the kids shape their choices and actions. I’m looking forward to the series this month. The link in the email was supposed to take me to a post about how parents can walk the talk, but instead it brought me here to an article that, I believe, was from Day 1 of the blog party. I thought I’d let you know in case it’s incorrect. Worked really well with my kids. They loved the role play ideas and throwing teddies at their siblings! Thank you so much for these points. It was a great to be reminded of #4 especially. I can get caught up in working on “all” which then turns into to something other than character training 🙂 …. instead, focusing on one at a time is so much better! Thanks again. Lee, so glad it was helpful to you! I hear ya on the getting caught in working on ALL. So easy to do, isn’t it?! 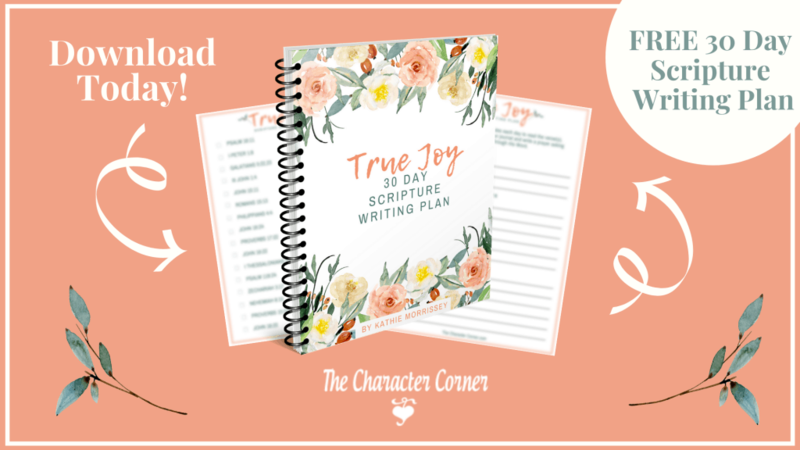 Download Your FREE Scripture Writing Plan Today! Follow Kathie King Morrissey's board Homeschooling on Pinterest. Join the 7 Day Intentional Parenting Challenge beginning May 6th and get the jump-start in you need!